My first foray in to discovering more about Shakespeare is with Romeo and Juliet. I chose this play because it’s one that I have experienced regularly ever since I was at school, and yet one I have never felt entirely sold on. Star-crossed lovers fall in love, get married, and kill themselves in the space of a few days. Melodramatic and unrealistic, right? So I felt it was time to give one of Shakespeare’s most popular plays another chance. Where did Shakespeare get his idea from? As with most of his plays, Shakespeare nicked the original idea from someone else (and lending weight to the idea that there’s no such thing as an original story. Shakespeare would have been very grateful for a total lack of copyright laws in the 16th century). In this instance, he stole the idea from a poem by Arthur Brooke, called The Tragicall History of Romeus and Juliet. He also changed a lot of the story. Brooke was warning his audience against the dangers of lust (ah, sixteenth century morality…) whereas Shakespeare made the lovers star-crossed and therefore destined. Which somehow makes it all okay because IT’S DESTINY, EVERYONE. Sarcasm aside, this is one of the big changes here. The star-crossed-ness of the lovers enables us as an audience to forgive them far more than if they weren’t. That said, if you don’t believe in FATE and DESTINY (they are BIG themes!) then you may perhaps be less sold on the idea this wasn’t all their own fault because they were foolhardy and not thinking with their heads. Spoiler: This is definitely what I thought of this play for a very long time. It’s only now, rediscovering it and reading far more around the play, that I don’t automatically want to give the lovers a much-needed slap. The Capulet family hate the Montague family. They keep not quite fighting on the streets. Benvolio tries to stop a fight; Tybalt is all up for stabbing someone. The Prince then tells them all if they fight again, the perpetrators will be killed. Dramatic. Then we meet Romeo, who is pining after Rosaline, in typical Petrarchan lover style. His friend Benvolio is worried about him. 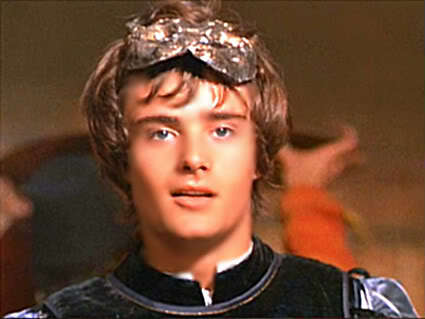 His other friend Mercutio wants him to get over himself and meet another girl at the Capulet party. Also, bonus fun points as Romeo has to sneak in so none of the Capulets try and kill him. Romeo, of course, meets Juliet and falls instantly in love. He then ditches his friends to go and woo her from where she is on her balcony, and she suggests they get married. Romeo thinks ‘sure, why not’, and they arrange to get married the next day. Meanwhile, Juliet’s parents are trying to marry her off. She obviously does not want to marry anyone else except Romeo. Her and Romeo go and get married in secret. Romeo, Mercutio, Benvolio and co. are met by Tybalt and co . Tybalt challenges Romeo to a fight for daring to show up at the Capulet party. Romeo tries to tell him that he doesn’t hate him as they’re family now, but without telling him they’re family now because SECRETS. Mercutio wants to know why Romeo isn’t defending his own honour and fights Tybalt instead. Romeo tries to get between them, and Tybalt manages to kill Mercutio. Romeo then kills Tybalt in revenge, and then runs away before he gets himself in to trouble. Romeo spends the night with Juliet before fleeing to Mantua, where he’s been banished to. He then legs it as Capulet arrives and tells Juliet she’s marrying Paris. She tries to fight his decision and gets a load of misogynistic cruel insults in return. The Nurse then tells her she may as well marry Paris. Juliet feels betrayed by everyone and goes to the Friar to plan her fake death and escape. The Friar sends a message to Romeo to tell him about the whole Juliet-fakes-hear-death-to-be-with-you plan. The message goes astray. Romeo returns, thinking Juliet dead, and gets a poison. He meets Paris in the tomb, fights him, kills him, and then poisons himself at Juliet’s side. Juliet then wakes up, realises Romeo is dead, and stabs herself. The play finishes with the Friar and the Prince concluding the moral of this story (don’t hate each other) and the families resolve their feud. Yay! 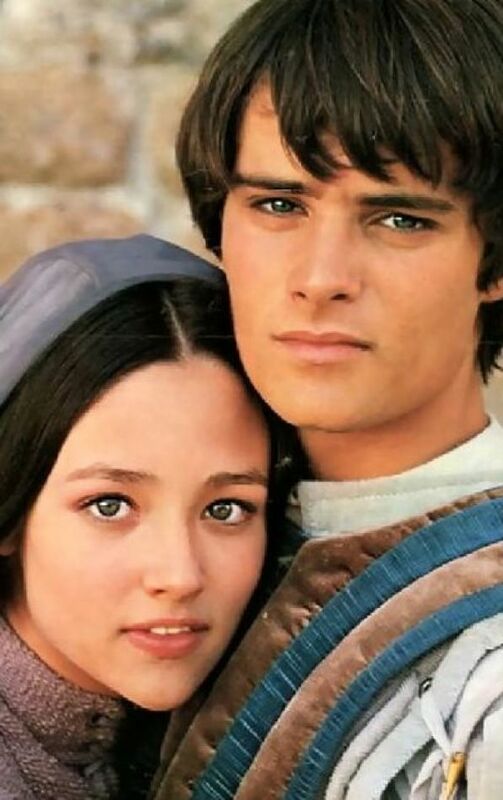 It’s young love, it’s passionate love, and if you think about it, Romeo and Juliet is largely a story about two perfectly normal teenagers being screwed over by the people they love. Well, perfectly normal for the time period. If you fall in love and get married within two days now, you can reasonably expect people to raise eyebrows. It’s the context of the time period that makes this play interesting. Romeo and Juliet is very much a story of its time. Modern adaptations may be able to express star-crossed love, but other aspects like the time scale of the play (a few days) and the fact they fall in love and get married so hastily, don’t quite sit with a 2018 audience in the way it may have done in 1596. But if you do your reading on this play, it becomes more and more interesting – and I’ll be talking about what I’ve read in upcoming blog posts about Romeo and Juliet as we move through February. I’ll be moving roughly in chronological order through the play, so let me know which parts of the play you’re looking forward to! In the meantime, I’d love to hear your thoughts about Romeo and Juliet here or over on twitter! Discovering Shakespeare gives me so much joy, and I hope to bring some of that joy to you too. I knew Shakespeare was known for stealing ideas and passing them off as his own but I had no idea that he stole this idea from a poem with literally almost the same exact names. He definitely was not conspicuous at all! Haha yeah he did basically the same with Lear as well! Wow! He was kind of a jerk.